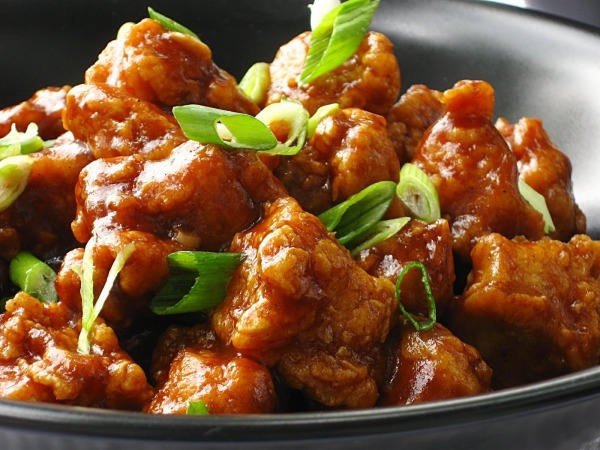 Chinatown Chicken is a delicious recipe with sweet and sour tangy sauce. You can serve it with boiled or egg fried rice. Boil chicken with finely chopped Garlic and ginger. In a mixing bowl put white pepper powder, Crushed black pepper, soya sauce, brown sugar, vinegar, honey, salt, oil and salt mix it. Now add in chicken and cook till chicken is properly cooked and sauce becomes thick.